chart-topping hits such as My Girl and Papa Was a Rollin Stone. 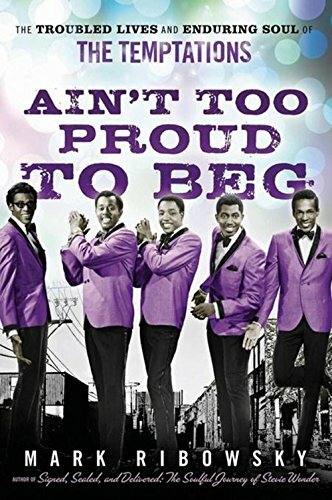 From the sharp suits, stylish choreography, and distinctive vocals that epitomized their onstage triumphs to the personal failings and psycho-dramas that played out behind the scenes, Ain't Too Proud to Beg tells the complete story of this most popular—and tragic—of all Motown super groups.Based on in-depth research and interviews with founding Temptations member Otis Williams and many others, the book reveals the highly individual, even mutually antagonistic, nature of the group's members. Venturing beyond the money and the fame, it shares the compelling tale of these sometime allies, sometime rivals and reveals the unique dynamic of push and pull and give and take that resulted in musical genius.The first book to tell the whole story of Motown's greatest group, with all-new interviews and previously undiscovered sources and photographsGives the last word on enduring Motown mysteries, including the deaths of Paul Williams and David Ruffin and the truth behind Ruffin's tumultuous romance with Tammi TerrellReveals the secret ""can't miss"" formula behind the Temptations' thirty-seven chart hitsDraws on more than one hundred interviews with the group's associates, industry figures, family members, and most importantly, founding Temptation Otis WilliamsAin't Too Proud to Beg takes a cohesive and penetrating look at the life and enduring legacy of one of the greatest groups in popular music. It is essential reading for fans of the Temptations, music lovers, and anyone interested in the history of American popular culture over the last fifty years.